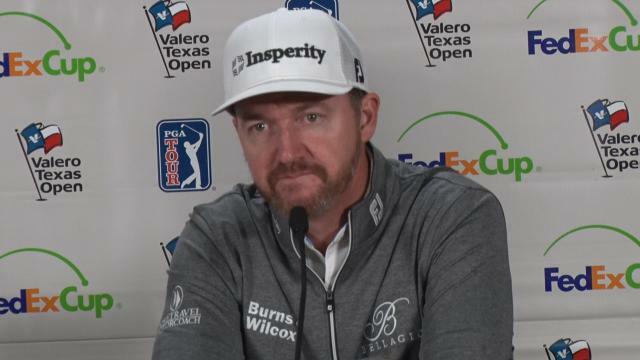 Prior to the 2019 Valero Texas Open, Jimmy Walker talks about the keys to playing the TPC San Antonio layout and what leads to victory. 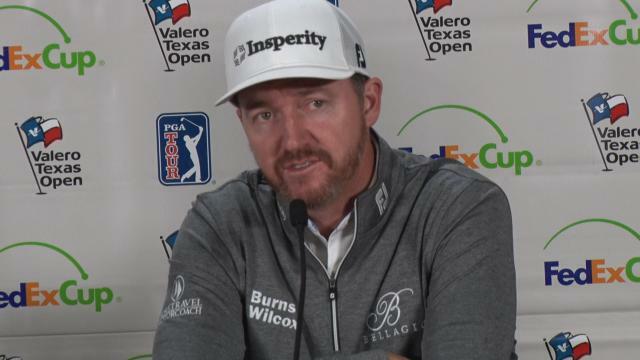 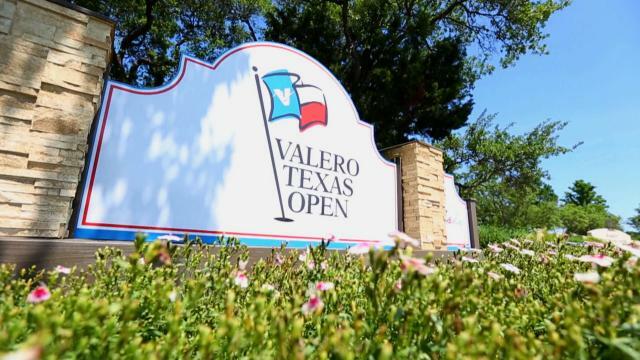 Prior to the 2019 Valero Texas Open, Jimmy Walker talks about being an advocate for San Antonio and hill country for other PGA TOUR players. 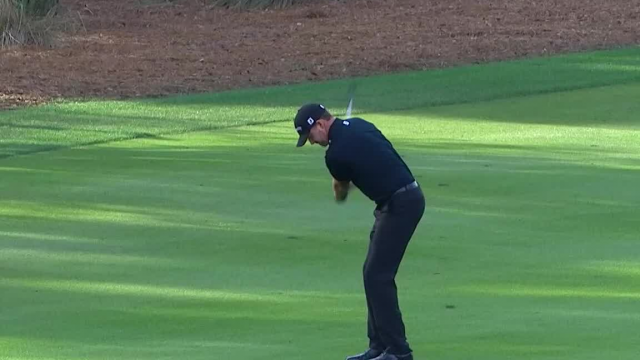 In the third round of THE PLAYERS Championship 2019, Jimmy Walker lands his 128-yard tee shot within 3 feet of the cup at the par-3 17th hole. 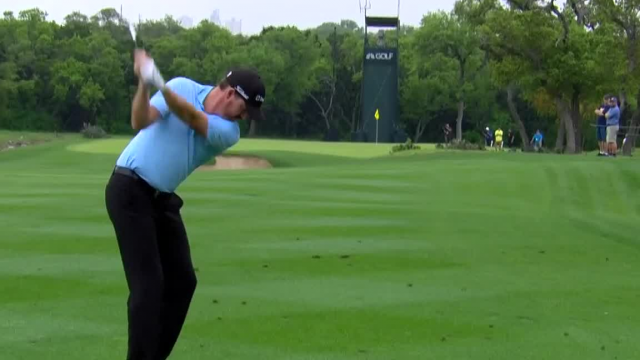 In the second round of the 2019 Arnold Palmer Invitational presented by Mastercard, Jimmy Walker sinks a 53-footer for birdie at the par-3 14th hole. 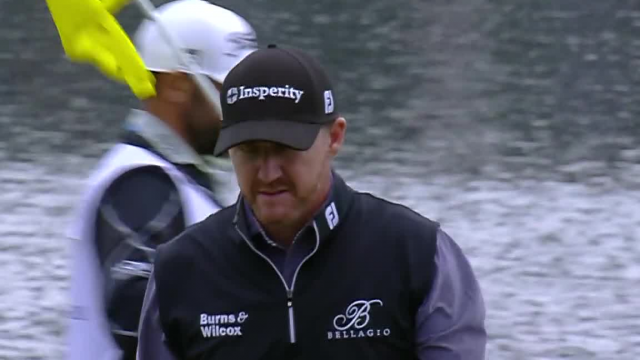 In the second round of the 2019 Genesis Open, Jimmy Walker chips his ball from the trees to inside 6 feet of the cup at the par-4 10th hole. 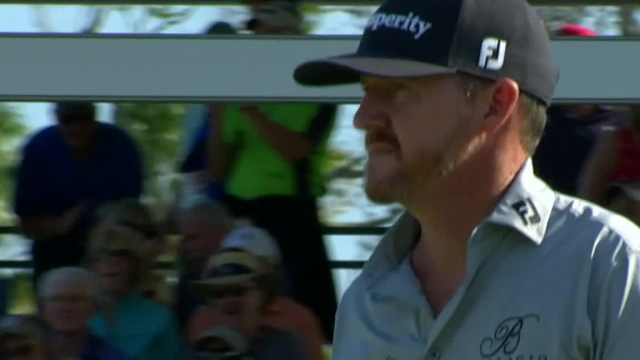 In the second round of the 2019 Sony Open in Hawaii, Jimmy Walker sinks an 11-footer for birdie at the par-3 7th hole.